Alphabet recognition can be a bit tricky, and the best way to help is through continuous exposure. Now I don’t mean flash cards with the letters to drill your child daily. 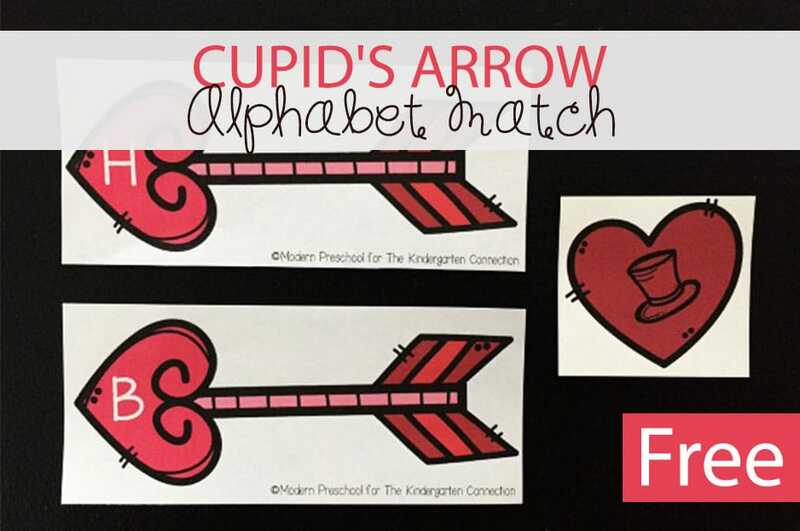 Instead, the use of hands-on materials are perfect, and these Valentine Alphabet Puzzles fit the bill. 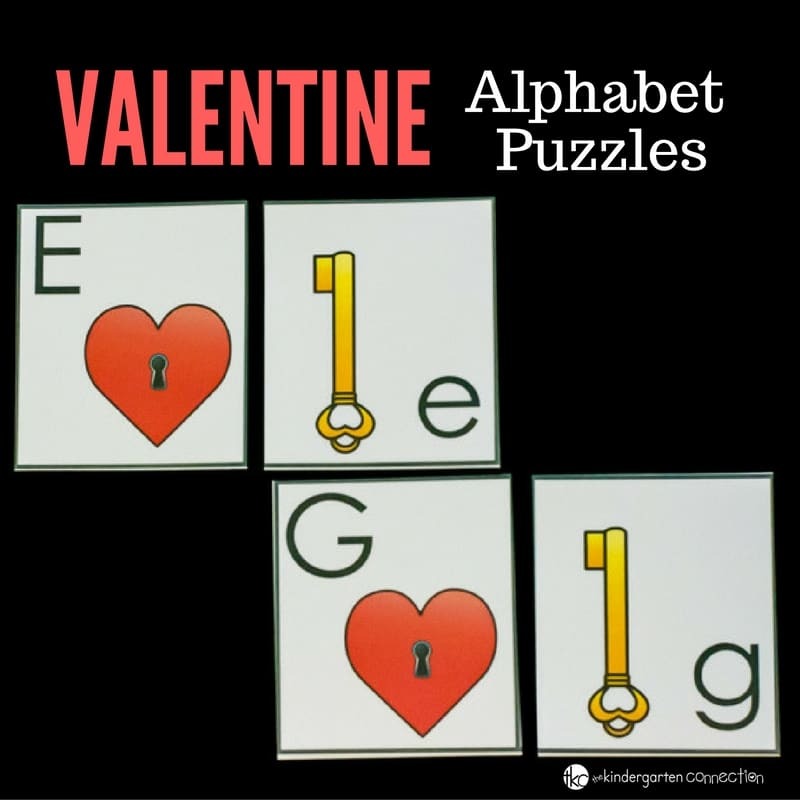 These Valentine puzzles are similar to the Circus Alphabet Puzzles – they are colorful and can be put together rather quickly. They are perfect for helping your child match upper and lower case letters. 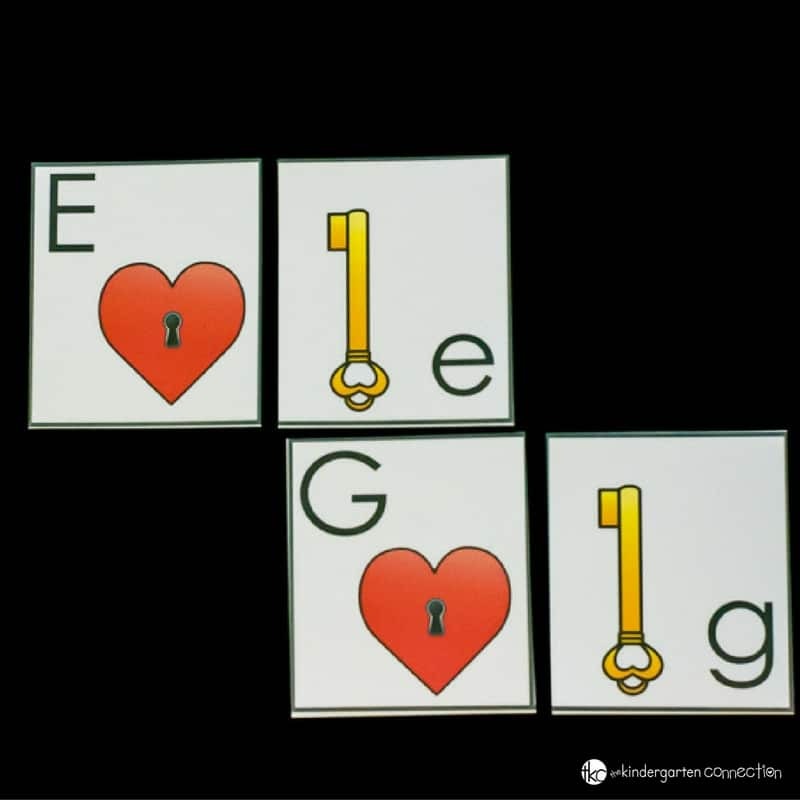 You can also make these puzzles self-correcting by placing the correct lower case on the back of each key. First, print the cards on either card stock or regular printing paper. Laminate for durability, and then cut the puzzles out with either scissors or a paper trimmer. Place the uppercase pieces in one basket and the lowercase pieces in another. Write the lowercase on the back of each piece with a key if you wish for this activity to be self-correcting. Have your child choose a few pieces from either basket and put them on a flat surface. Next, have them fish for the matching pieces in the other basket. Have your child continue fishing until he has found a match. 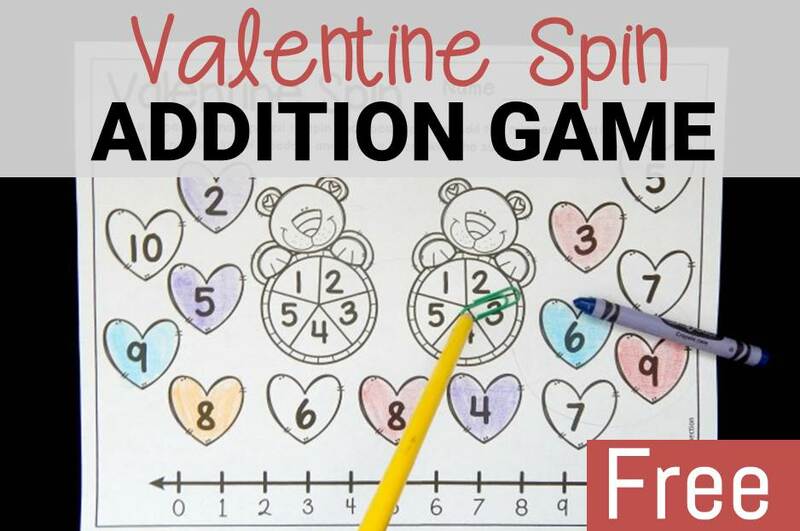 To reduce overwhelm, give the Valentine alphabet puzzles in groups. For example, Set 1 could be A-G and those will be placed in the baskets. Place the other groups in a small bag until they are needed. Once your child has mastered those letters, you can give them another set until they have completed all 26 letters. I also chose to work on letter sounds with Caleb by using these puzzles. Whenever he chose an uppercase piece, he had to sing what the letter sound was. For example, ” The c says k’. If he forgot to sing the song, I would simply prompt him by starting the song. Ready to play? 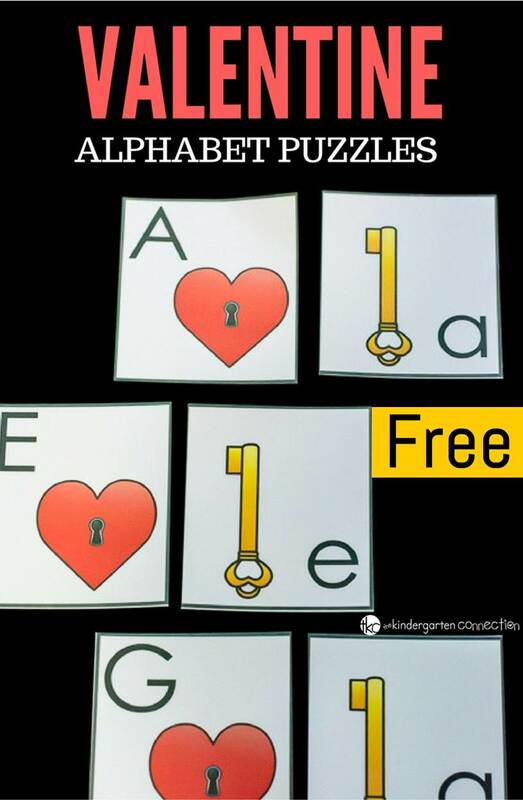 Grab your copy of the Valentine alphabet puzzles by clicking the yellow button at the end of the post. 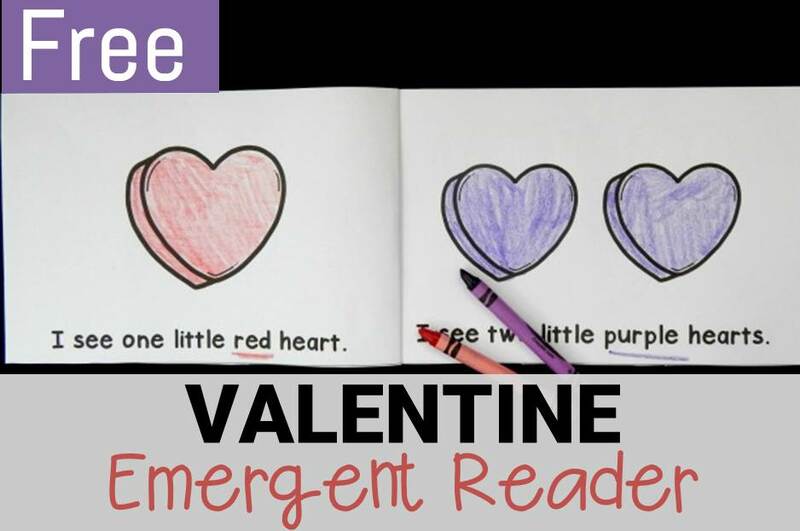 Then, for tons more Valentine reading, hop over and check out this Valentine emergent reader!